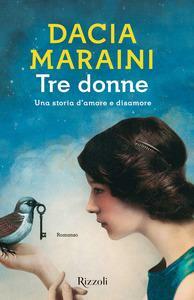 Author Dacia Maraini returns to Casa Italiana on the occasion of the recent publication of the novel Tre donne: una storia d’amore e disamore (Rizzoli, 2017). The prize-winning author, screenwriter, journalist and playwright Dacia Maraini will also discuss recent works (L’amore rubato, Chiara di Assisi, recently translated by Tylus) and less recent works (Voci, one of the first detective novels written by a woman in Italian, and her memoir on life in Sicily). A passionate supporter of women’s rights, she will undoubtedly have much to say on recent events in the US and throughout the world. While in New York, Dacia Maraini will participate in the premiere of a new play based on Pinocchio that she co-wrote with Silvia Calamai and Paolo Tartamella. Produced by “italytime” the performance will take place in the theater of the Church of Our Lady of Pompei, here in Greenwich Village. Click here for more information and tickets.